Specialization in Medicine in Germany (Residency, Ph.D.) is one of the best opportunities for Indian students looking for Medical Continuing Training position overseas. 6-year medical degree and a good level of German language are the least requirements. Basic medical training in Germany heads to graduation with Consent (License to Practice Medicine) corresponds to Doctor of medicine). An undergraduate medical education in Germany is a 6-year program and it involves 48 weeks of constant practical training. After completing the 6-year degree medical specialization program, students may start specialization (residency) also called medical continuing practice in order to become Specialists Doctor. In addition to medical progressive training (Residency) and qualification, doctors wanting to further specialization can gain Extra Qualification exams in different fields. Most of the medical universities in Germany teach the entire PG/Specialization course completely free of tuition fees. Only Criteria for admission in PG is German Language Learning and Clearance of License Exam. Learn German Language Online or Classroom for A1 and A2 levels in India. We will provide the admission letter from a government approved test and language learning center for TELC B1 to TELC C2 German Level. Study the German language up to C2 level in Germany and Medical Terminology in Germany. Go through the “Approbation Program” which means registering yourself as a German Medical Practitioner with German Medical licensing authorities. Apply for admission in various Medical Universities with Zero Tution Fees. Luckily for Indian doctors, MCI have recognized some German medical universities which provide PG / MD programs with zero or a very minimum tution fees. You need to clear the license exam in Germany. Clearance of German C2 level exam. The Work experience in India. Students get a good stipend during the course of PG / MD in Germany as Germany is the third largest economy in the world, it’s a developed country and provides excellent salaries to those who wants to settle down in Germany. After the completion of PG / MD course in Germany, Doctors start earning EUR 5000- 9000 on an average of Rs 70 Lacs per annum, Many Indian doctors have settled down in Germany and earning in Lacs. 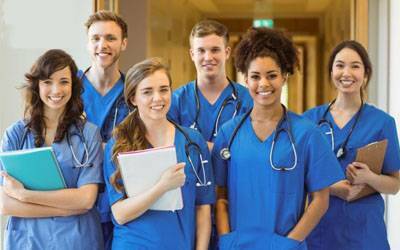 Medical Residency training programs (Medical specialization) in Europe for foreigner’s specialists: Most of European Colleges accept immigrant students for specialization and Ph.D. studies. Qualifications that you need to get the admission in Medical Residency Programs depend on medical credentials, language abilities and citizenships of the medical student. Note that medical residency students accept a salary for the work as a specialist in training in all West European Countries, while in most East European countries, the residency student must be paid annually tuition fee for speciation.The tuition fees vary within different universities and internal medical residency courses. Evaluation and advancement of medical residency training programs are the preference and not the setting up of qualifying examinations. Therefore, medical residency or medical specialties are being intensively reworked in the all-European countries promoting the improvement of educational training programs. Medical specialization training in Europe takes place at the Medical University Hospitals or associated clinics and is a full-time program in a state with duties concerning to the curricula of respective medical specialties. Every medical University has a Committee of Professors of Postgraduate Education working straight with medical Universities and grants to the Specialty State Examination only the applicants who have completed the particular specialization curricula successfully (medicine, dentistry or pharmacy). To get into a residency program in European Medical Universities in Europian countries, European medical graduate students must pass an entrance test. Previous to final residency admission in Europe, medical PG student (EU or non-EU candidates) should have good competency in the national language of the respective country or take a 9-month introductory course to the particular language. Therefore, prospective foreign residency applicants in Romania who do not have a good grasp of Romanian language are accepted to residency on condition the follow one-year Romanian language program. 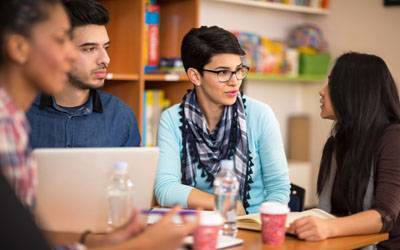 After getting Romanian language certificate, postgraduate scholars from EEA constituent countries must set for the national entrance exam to the residency. Successful EEA applicant will get regular monthly salary during all residency period. For the students from outside of EEA member countries are instantly admitted presenting the certificate of Romanian language, approval letter, and document of tuition fee payment. This is standard procedure for most East European countries (Romania, Bulgaria, Poland, Hungary, etc.) with consequent slight differences. Tuition fees for the residency medical program in Europe for non-EEA scholars depend on country, university, and specialty. It changes from 5000 Euro to 7700 Euros/year. Tuition fee for national language Introductory course changes from 2700 to 3600 Euros for the one-year program. Even if to get admit in Medical specialization in Europe is growing harder every year, it is still achievable for all graduate scholars who fulfill all the necessary requirements. The list of all the necessary document required to apply to specialization in Europe may differ from country to country and institute to institute. You can choose to pursue your medical degree from Europe and after that getting Medical Specialization in Europe is a right choice to make. Why Choose MBBS in Europe? English is the main language that most of the people speak in Europe. All the different institutes in Europe are English medium and you don’t have any problem during your medical course. To pursue your MBBS in Europe you don’t have to give any entrance examination. The duration of MBBS course in Europe is 6 Year. An advantage for EU/EEA students as the credit transfer facilities is available for them which can help them to make their overall grades better. IELTS/TOEFL condition can be waived if a student has done schooling in English Medium. In Europe, you can easily find the top rank Universities that provide excellent research facilities and lowest fee in Europe. With the top class education, you can easily spot a Medical Universities that provide less expensive packages and make students to save some money also have a good reputation. The training that you will acquire is well recognized by MCI /WHO. Europe is a travel destination which is a good news for the students as the cost of living is not expensive and can be easily afforded by the student who came to pursue their MBBS in Europe. Not just the education but also the degree is valid all over the world and you can easily practice from any corner of the world. After completing the degree program you can directly apply for the medical specialization in Europe. European Universities offer admission in General Medicine (MBBS), Dentistry, Nursing, Pediatrics, and Pharmacy in various Universities. Bachelor of Surgery (MBBS BSc Medicine) also known as Medical Degree (M.D.- Doctor of Medicine) courses in Europe, including Bachelor degree of Medicine, is a six-year course of Medicine, covering preclinical and clinical effectively with patients and doctors in English, Bulgarian, Romanian, French, etc., depending on what university offer. After that, you can continue your medical specialization in Europe. Though, some universities in Europe offer a 4-year course of in MBBS BSc but only for those who graduate entrants with UK, USA, Canadian, etc., degrees. The six-year Medical program a combined Science (BSc) driving to the awards of Bachelor of Science (BSc) and Bachelor of Medicine and Bachelor of Surgery (MBBS) also recognize as M.D. (Medical Degree). The four-year medical program leads to the same degree as the 6-year medical course does and is accessible only in a few countries and obviously not in all universities. It is meant for graduate students with a bachelor degree in chemistry, biology or any another field relevant to medical studies. Both the four year and six years medical MBBS programs include preclinical (2 years and 3 years respectively) and clinical studies (2 years and 3 years respectively). Sometimes the Medical Residency program is offered by the same university or in some case you may need to go to the associated clinics for the medical specialization. Medical institutes in Europe offer a lot off specializations (Medical Residency Programs). The list provided below is not exhaustive. To get into the medical residency program in Romania, a medical doctor must have to speak Romanian language or they have to follow the one-year introductory course of Romanian language former to specialization. At the same time, he must have sufficient fund to finance the residency training program and living costs. Medical Specialization in Romania is designed for 3 to 6 years depending on specialization, and annual tuition fees range from 3800 to 7000 Euros depending on medical institutes and specialization course. The applicants of medical specialization in Romania must fulfill the basic requirements for postgraduate education. Specialization in Medicine in Poland (Residency, Ph.D.) is one of the best opportunities for overseas students looking for Medical Continuing Training position overseas. 6-year medical degree and a good level of German language are the least requirements. Basic medical training in Poland heads to graduation with Consent (License to Practice Medicine) corresponds to Doctor of medicine). An undergraduate medical education in Poland is a 6-year program and it involves 48 weeks of constant practical training. After completing the 6-year degree medical specialization program, students may start specialization (residency) also called medical continuing practice in order to become Specialists Doctor. In addition to medical progressive training (Residency) and qualification, doctors wanting to further specialization can gain Extra Qualification exams in different fields. Specialization in Medicine in Hungary(Residency, Ph.D.) is one of the best opportunities for overseas students looking for Medical Continuing Training position overseas. 6-year medical degree and a good level of German language are the least requirements. Basic medical training in Poland heads to graduation with Consent (License to Practice Medicine) corresponds to Doctor of medicine). An undergraduate medical education in Hungary is a 6-year program and it involves 48 weeks of constant practical training.